Today I’m reviewing a product that surprised me. When I purchased this product I was in the mood for trying something different, I’ve always believed that you get what you pay for, so when it comes to make up I will be willing to pay the price to ensure I get great results. However the product I purchased has kind of got me thinking that in some cases thats not always true. The product I purchased was from amazon and I paid £2.85 for it. 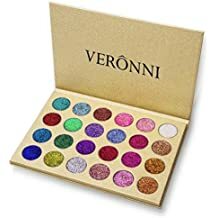 It was the veronni eyeshadow palette. It took a little while to arrive but it was worth the wait. As soon as I opened this product I had high hopes for it, the packaging is amazing, its card but of extremely good quality. Now the eyeshadows are very pigmented, and blend really well. I have got quite a few different looks using this palette, and the colours compliment each other really well. You have a mixture of mattes and shimmer shades. The shadow stayed on all day without creasing and to be honest looked at fresh as it did when I first put it on ( note- I did use an eyeshadow primer) There are different eyeshadow palettes in this range and I am definitely going to invest in more. 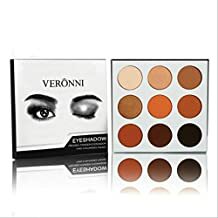 Veronni also do other products such as an eye glitter, lip sticks and powder so if you would like to give this brand a try yourself pop over to amazon https://www.amazon.co.uk and see for yourself what they have to offer.